TU Degree Time Tables 2019 April: Telangana University has announced the TU Degree time tables for 2nd, 4th, 6th Sem BA, B.Com, B.Sc, BBA Groups. All the students gaining education under TU can now download the TU UG timetable 2019 PDF for II, IV, VI Semesters. Candidates can clearly observe the examination dates by downloading the TU time tables 2019. TU has notified that the Graduate Degree academic examinations will be held from April 2019. The examination dates were nearing, hence the students must focus well on their preparation. As per the scheduled timetable the examinations will be held in morning session 9am to 12pm and afternoon session from 2 PM to 5 PM. Aspirants obtaining the education under TU can download the Telangana University Degree Time Table 2019 PDF from the following attachments. As per the subject cited above, B.A./B.Sc./B.Com. (General), B.Com. (Computers), B.Com. Computer Applications (Vocational) and B.Com. Tax Procedures and Practice (Vocational) II, IV, VI Sem Regular and Backlog examinations have been scheduled from April 2019. Detailed time-table is appended to this letter. Any omission or clash may be brought to the notice of the COE, T.U. immediately on receipt of the time table. Centres for the said examinations for all the affiliated UG colleges will be intimated in due course. For more information regarding the TU Timetable for Degree Examinations 2019 candidates can visit the TU official website, telanganauniversity.ac.in. Also the TU Degree time table 2019 PDF is accessible to download on the popular websites, manabadi.com and schools9.com. Students can download the time table and take a printout to refer it often to check the dates. Here we have composed this article to give complete information about the TU Time Tables 2019. Go through the article to know more details. The Telangana University is one of the reputed universities of Telangana state. It offers various bachelors degree and masters degree courses for its students. 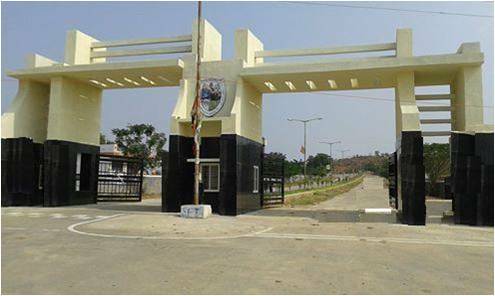 Many of the Government and Private colleges were functioning under TU in the state of Telangana. The TU serves the state by providing the quality education for students. Annually student rate is notably increasing in Telangana University. The TU conducts examinations with a quality basis and also releases the results in time for the students. Today the TU has slated the academic datasheet for Degree examinations. The TU Degree Time tables 2019 is now accessible to download at telanganauniversity.ac.in. Check the time table keenly to avoid confusion in exam dates. Visit the latest notifications section and search for ‘UG 2nd, 4th, 6th Sem time tables 2019’ Link. The TU Degree time table 2019 PDF displays on screen. Check the examination dates with your present Degree & year of study. And finally take a printout to refer to it whenever required. Students can download the TU Degree admit card 2019 from the TU official website, telanganauniversity.ac.in. The hall ticket will be accessible to download within a week before the examination. After downloading the hall ticket candidates can check the examination centre, dates and timings of the examination. Students can also check their name, signature, photograph printed on the hall ticket.